Description: Assessment of learning measures the student’s learning at a set point in time against a set of standards and leads to the award of accredited qualifications such as certificates, diplomas, degrees, etc. It tends, in the main, to utilise a range of marks, grades and classifications rather than just ‘pass’ or ‘fail.’ Assessment of learning is mainly used to record achievement to allow progress to a higher level of study or to a higher position within a workplace or within a profession. Benefits: The benefits of assessment of learning to the learner are that it requires teachers to use transparent approaches and to interpret the outcomes of learning in a standardised way so that students are able to demonstrate their knowledge, competence and skills level at a particular point in time and to be rewarded for that achievement. The rewards associated with assessment of learning provide defensible public reference points for making judgements about an educational approach or system as a whole and the process of assessment of learning provides strategies for recourse in the event of disagreement about end decisions. Challenges: Although assessment of learning tends to be continuous and is therefore usually based solely on teacher judgement in vocational education, nationally accredited qualifications are externally set and tend to be based on tests and examinations designed to measure the learner’s achievement against strict criteria and standards. In relation to the latter, as suggested above, assessment of learning is used to monitor the educational achievement of all learners locally, regionally and nationally within all subjects at all levels. This accountability aspect of assessment of learning can result in unintended outcomes such as, for example, where teachers spend more time preparing learners for tests rather than teaching the full breadth and depth of the subject. In most countries, assessment of learning is highly regarded as being reliable and valid, and is controlled by external regulators and awarding bodies, with much less trust being placed on the academic judgement abilities of teachers. This can impact to some extent on the perception and attractiveness of teaching as a profession. Applied to entrepreneurial education: As with any type of education, there are elements of entrepreneurial education which lend themselves to the assessment of learning approach, allowing learners to gain certificated qualifications that they can use to demonstrate their mastery in entrepreneurial knowledge and skills, supporting them in undertaking further study and self-development, for example, the Entrepreneurial Skills Pass (ESP). In addition, the EntreComp framework is based on 15 competences embedded within an 8-level progression model which encompasses 442 learning outcomes. 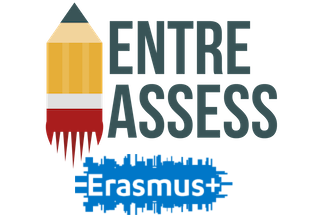 From an assessment of learning perspective, the framework can be used as a basis for the development of curricula and learning activities fostering entrepreneurship as a competence and to assess learners’ entrepreneurial competences.